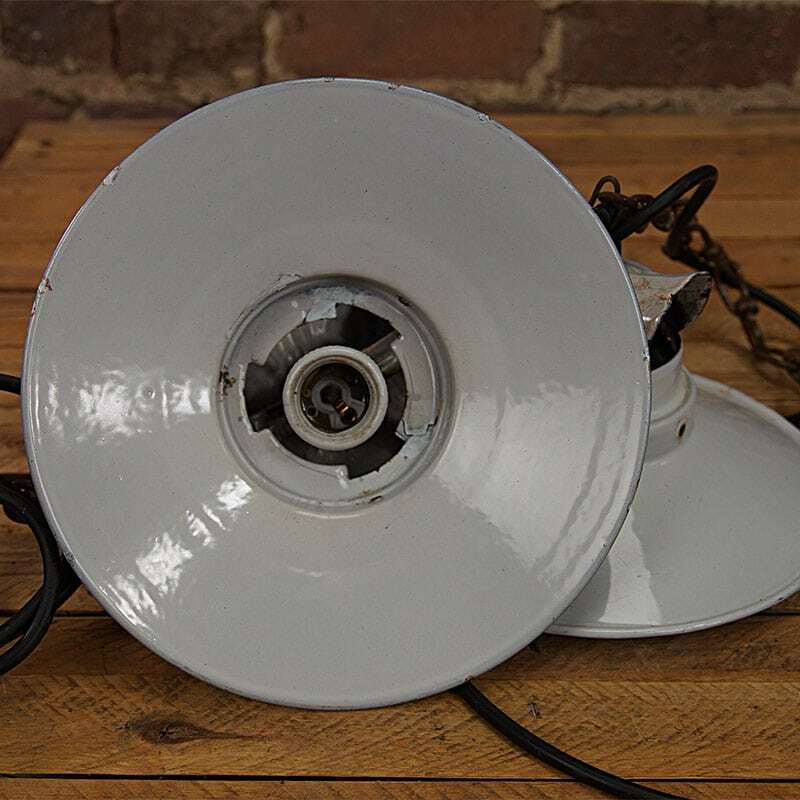 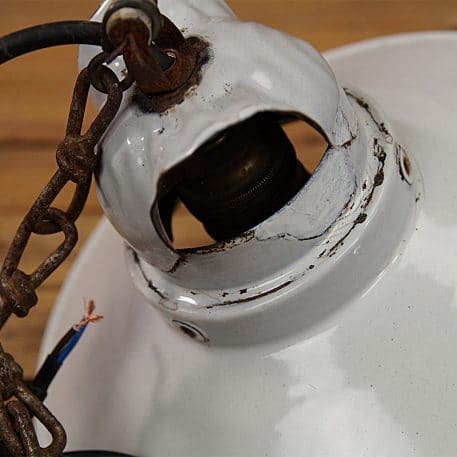 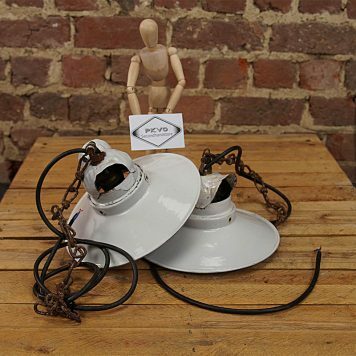 White enamel lampshades in a lived condition. 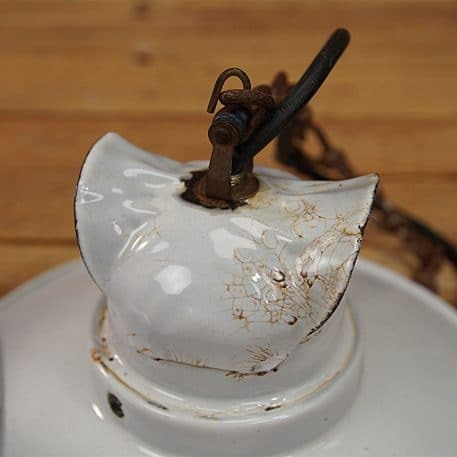 Small retouch on the enamel. Brass fitting E27 and original chain. Are offered as a set.